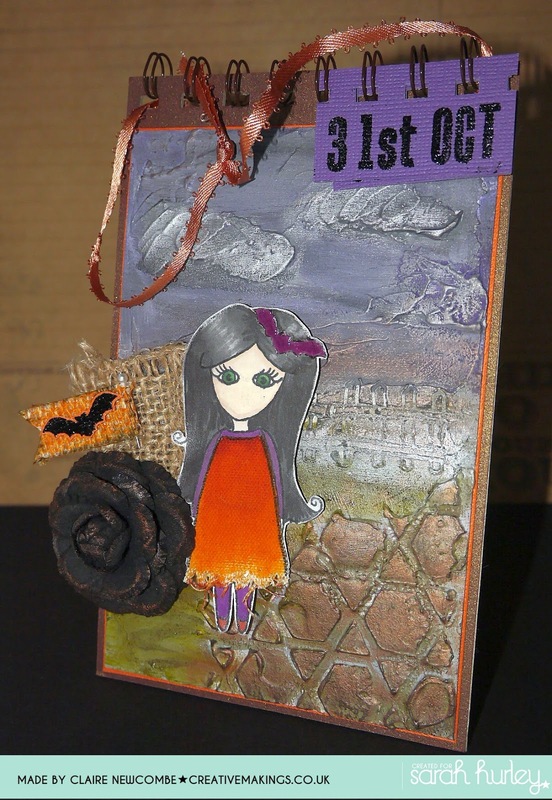 Hello, Claire N, back with you today to show you a little more detail on my Halloween challenge make this month. I only have one of Sarah's Doodle Dolls, but the beauty of their design is that you can adaot them to whatever scene suits just by colouring. So our 'Dream a little Dream Doll' has donned a Halloween outfit. 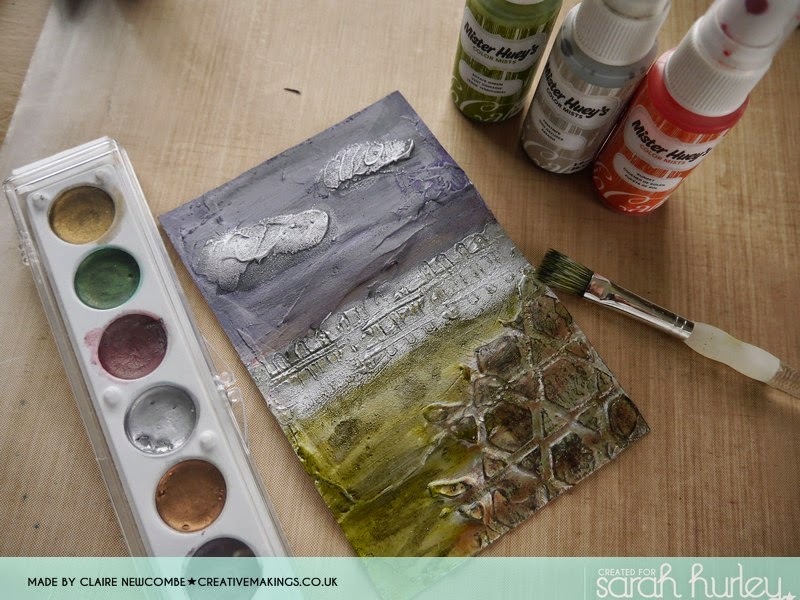 There is lots of texture going on with this plaque, so I'll show you how I achieved it. 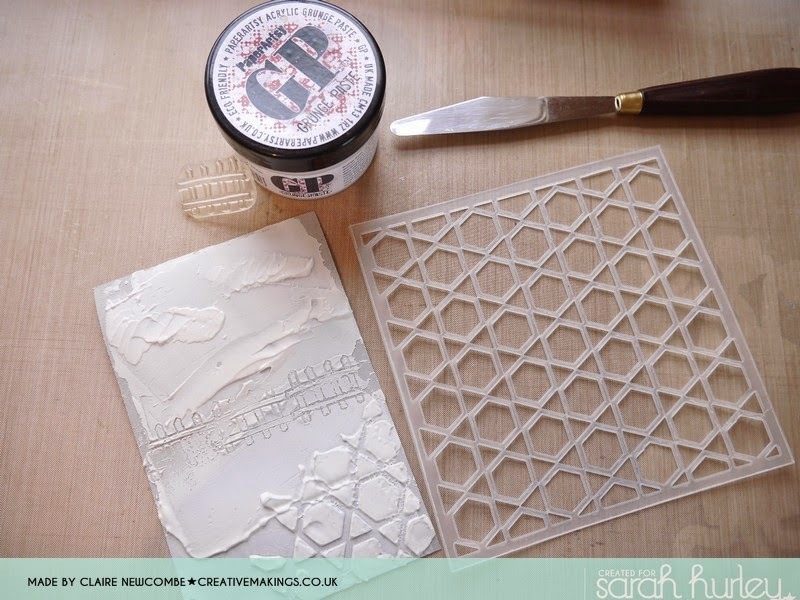 I have used a texture (grunge) paste through Sarah's hexagonal stencil, and also created a sense of perspective by stamping a fence (from Sarahs Spook Street stamp range) through the middle of the scene. the areas where I didn't use the stencil I purposefully left the paste uneven (above the fence) to create an illusion of clouds. 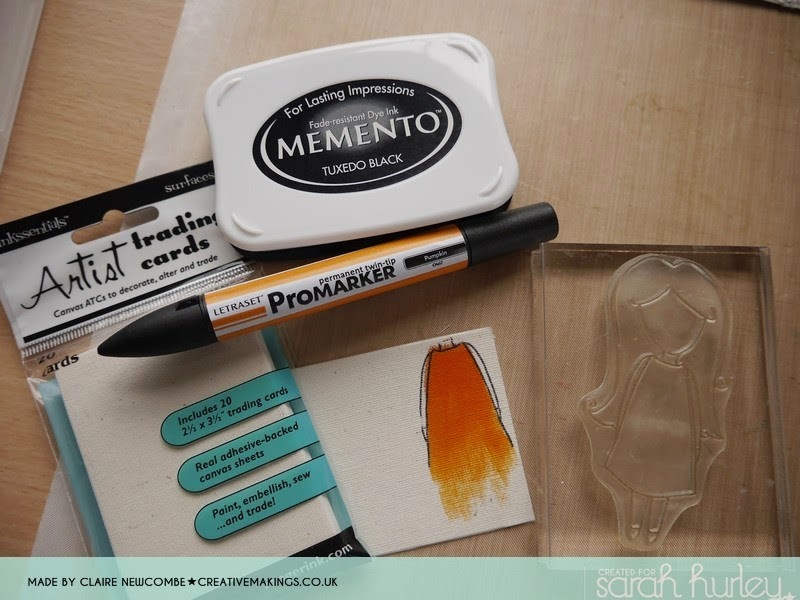 While the texture paste was drying I stamped the body of the Doodle Doll onto a self adhesive canvas panel, and coloured in ith the pumpkin promarker (LOL!....apt don't you think!). I left the bottom of the dress unstamped and unfinished because when I fussy cut the dress I wanted to pull the fibres at the bottom to create a ragged effect. 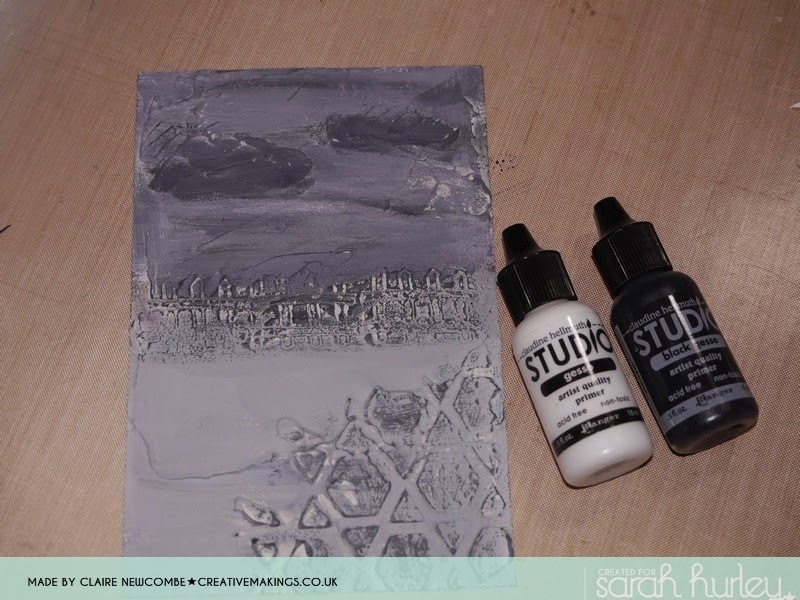 With the paste dry, I primed the plaque with gesso (mixed black & white to make the stormy grey colour), going heavy in some areas to create a stormy sky. Again, after a period of drying I painted/tinted the panel as a whole with spray inks and a brush. I didn't want a full on colour, just more of a tint really and these sprays worked well for that. To add highlight and sheen to certain areas (particularly those parts that are raised) I used rub on tarnishing creams in various colours. 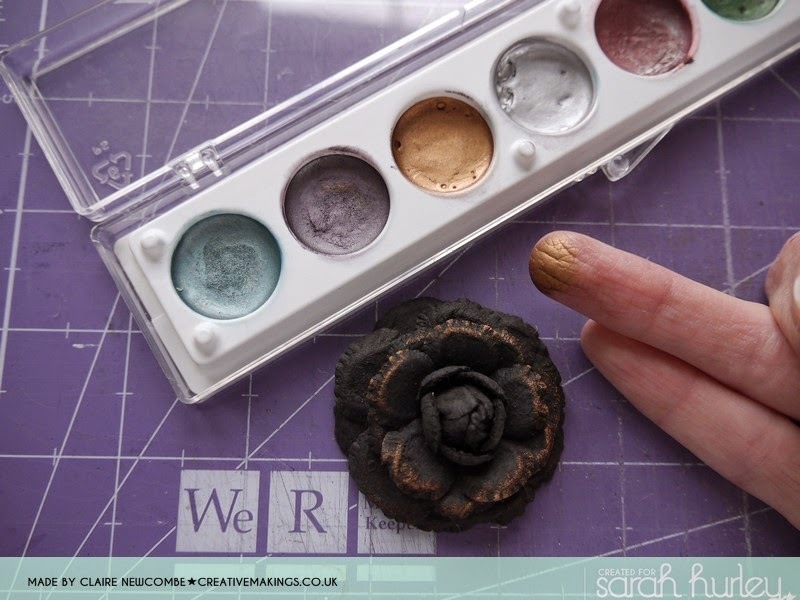 Also, when adding the finished touches I applied some of the bronze coloured cream to a paper flower. By doing this the starkness of the black is softened and makes it ( the embellishment) look much more in keeping. But matting and laering onto complimentary card stock, and adding rustic embellishments I was able this piece of Halloween art. I am by no means an experts in this type of crafting, so I hope I have de mystified this type of mixed media technique. I still have much more to learn and practice, and I shall have fun doing so along the way. 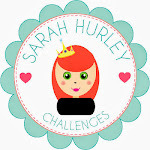 IfI have inspired you to have a go, we as a DT would love to see your creations. Don't forget to call back again, we as a Team have regular projects and tips to share with you.